Our journey to Jordan was a long one. We traveled at 4a.m. through Kuwait into Amman. We were upgraded to first class for the first time and had a pampered experience which made all the difference. Once in Amman we travelled south by public bus to Petra, Jordan. Being in the middle east for the first time in my life is truly exceptional. It feels as if we are being dropped in the desert to fend for ourselves. 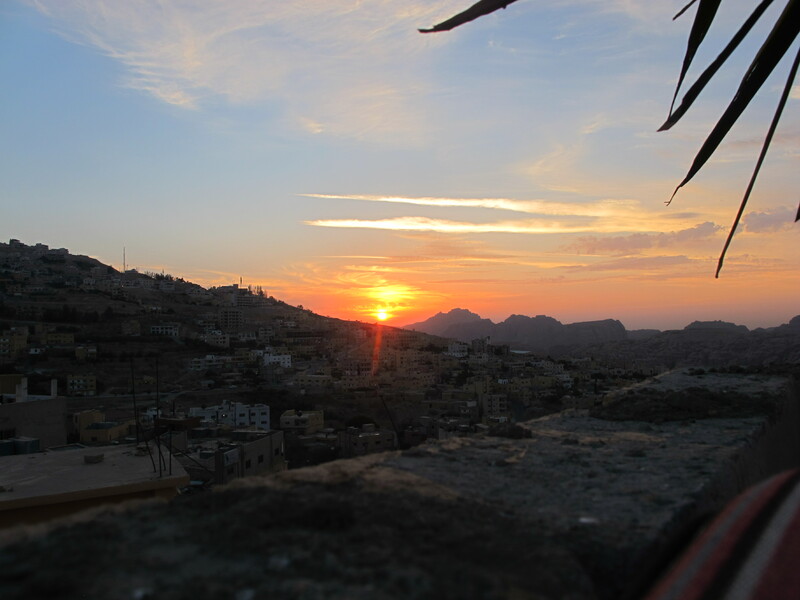 Conversely, the people of Jordan are beautiful, genuine, friendly and so welcoming. When you walk down the street you hear people calling “welcome” or “would you like to have tea with us?” It’s been wonderful to be around people like this. 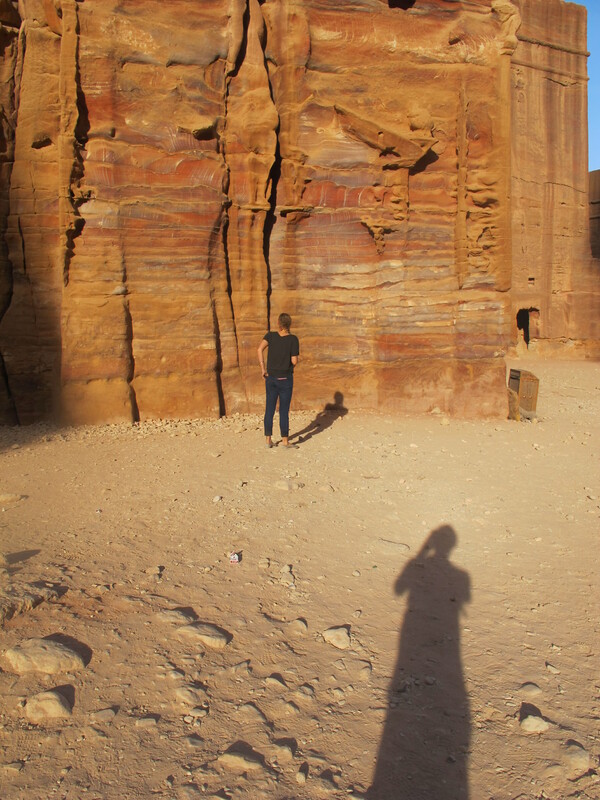 Arriving in Petra was like a dream. We made it to our hostel in time to sit on the roof and watch the sunset. There were many moments when I couldn’t believe where I was. 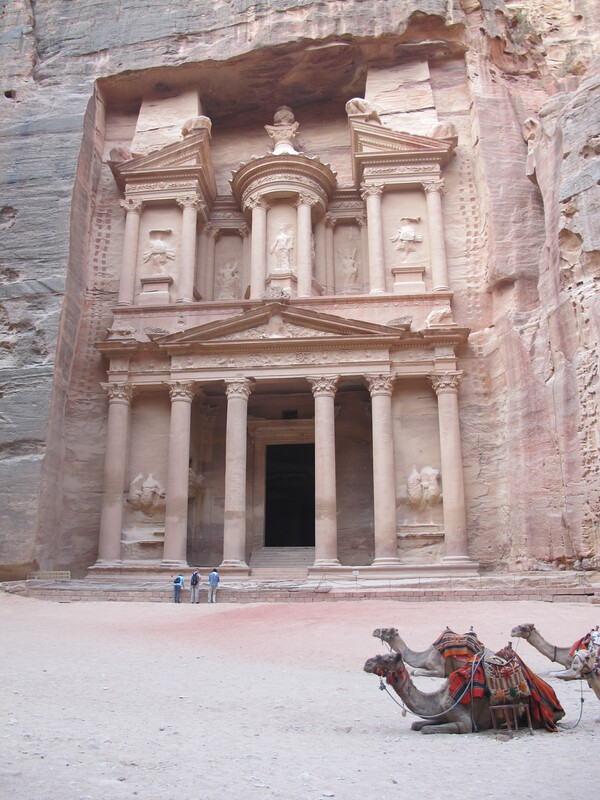 We woke up early to beat the crowds and the heat and headed to Petra with our new American friend (who just opened a brewery called Our Mutual Friend in Denver). As you enter into Petra you are swallowed by a gigantic canon that goes on for 2km. 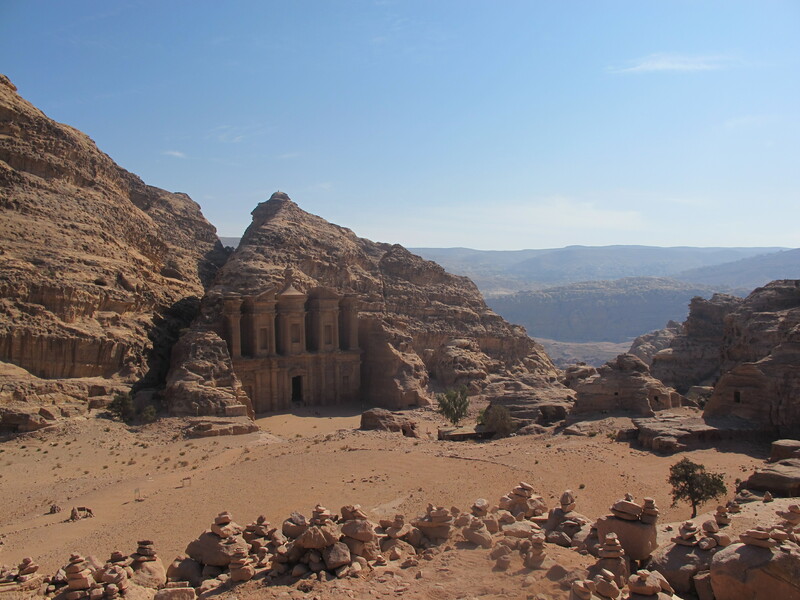 At the end, you enter into the ruins of Petra. We spent six unreal hours walking, hiking and smiling through the ancient ruins that were built almost 2,000 years ago. 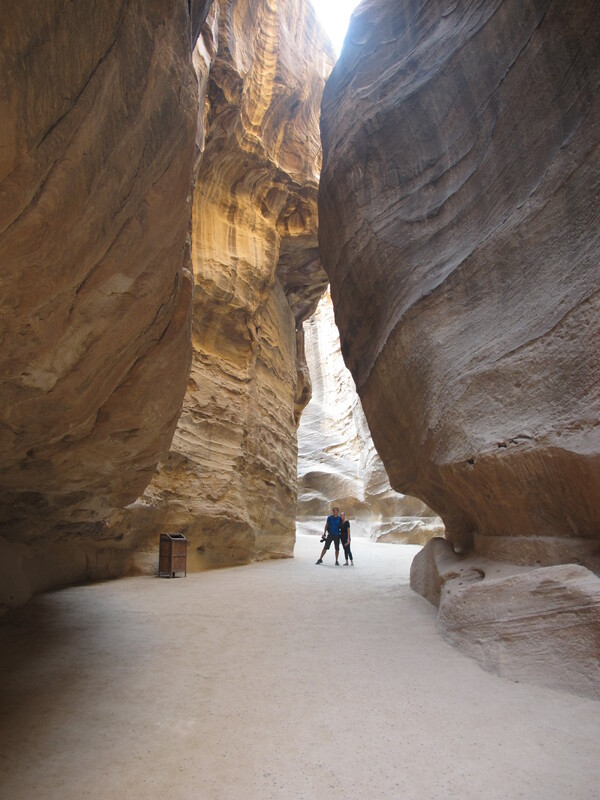 Most people spend two or three days in Petra, however we only spent one. Having come down with a cold and perhaps suffering from heat exhaustion I slept for seven hours after our adventures in the ruins. 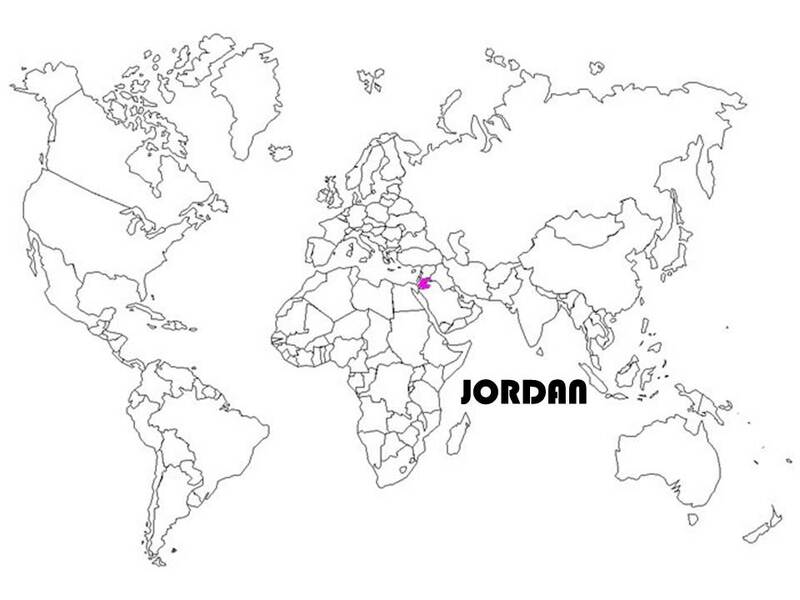 Jordan was an a bonus trip for us that started only as a means to save money on getting to Israel. It ended as an experience of a lifetime. I feel blessed and honored to have experienced this wonderful country and feel sad to have had to say goodbye so soon.